whew! i haven't done a five things post in such a long time! so i think it's time again. my first favorite lately are these fabulous Christmas cards from WHCC! i wanted to do something a little softer and cute this year, so a fun cut and texture! click on the first picture to see the art linen paper i chose. i did the design after i did one similar for a friend! that's right.. i took a design i liked from.. myself. The best part is brandon really liked them too. i call that a win. i love using this company for almost everything! 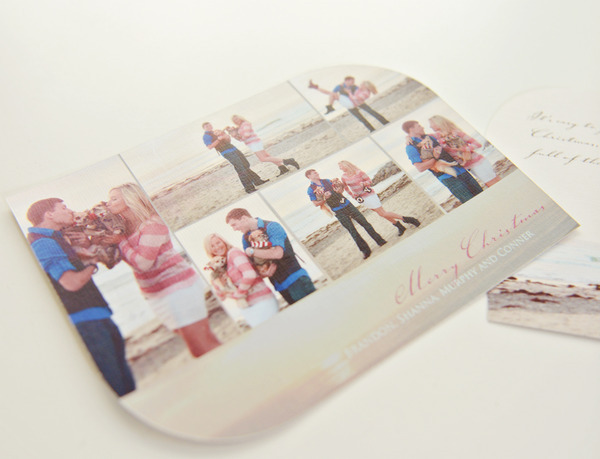 these are a little more costly, but your choice of a fun cut, paper, and super fast delivery. i had to try it this year for cards. i ordered more two days ago, and they just got here! if you're good at stalking me, you might know that i'm not usually a hot coffee drinker, although i'm trying! my new keurig is amazing and used everyday! hot chocolate or otherwise. i do admit, a friend showed me these starbucks packets, and make for a yummy cold coffee. and easy! caramel is the best, and the best part.. there are only 6 packets in each, but i can use one packet three or four days. target. walmart. thank you. okay so while working from home, my whole life has become coffee related. i feel so grown up. and suddenly.. so much more unhealthy. unhealthy, with more energy! my mom recently visited and showed me this creamer to add to coffee. i've been putting just my rice dream in mine, never bought creamer. and now, i'm hooked. so if you're looking for something new.. try this! it adds to hot chocolate too. drooool. almond joy international delight. the last is a small gift idea. so last year, i couldn't help but buy plane cufflinks for brandon. and this year, i found these fantastic cufflinks made from a football IN a steelers game. i actually saw baseball ones first, and i think they're way cuter but the steelers fan he is, i went with these! you can find any from a team your man likes, and some official document that says it's real. either way, they're cool. Etsy!